Background: The National Fire and Marine Insurance Company of New Zealand was founded in Dunedin (NZ) in 1873. The Company expanded rapidly and opened offices in many overseas locations but by 1892 it had centred its interests in New Zealand, London, the Pacific Islands and the growing market in Australia. 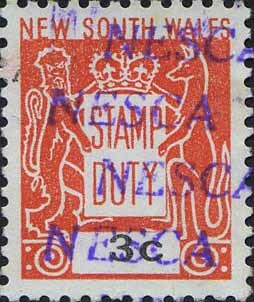 By 1908 the company had restructured and changed its name to the National Insurance Company of New Zealand. 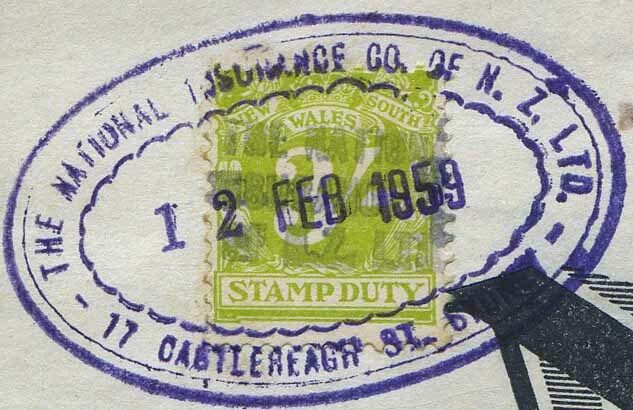 In 1961 it absorbed the failed Dunedin based Standard Insurance Company Ltd. In 1989 National Insurance was purchased by the Tower Corporation and re branded as the Tower Insurance Ltd.
*Hocken Collection; Minutes of 19th Annual Meeting of NFMICofNZ as reported in the Otago Witness 24 November 1892. 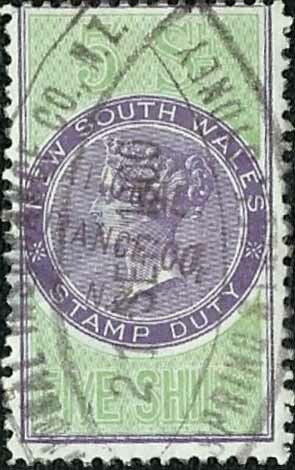 Background: The Newcastle Electricity Supply Council Administration (NESCA) was a semi Government body created after the passing of the Gas and Electricity Act of 1935 through the NSW parliament. 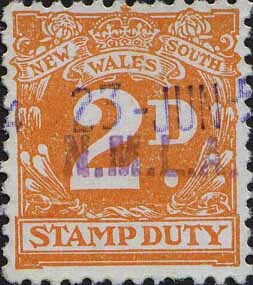 This act created a number of Authorities to manage the provision and distribution of electricity supplies in various regional areas including Sydney (see SCC.a in the Perfins section). From 1890 the Newcastle Borough Council was the Local Government body administering Newcastle and its role included the supply of electricity. In 1912 the specific part of Council responsible for the supply of electricity was designated the Electricity Supply Department. 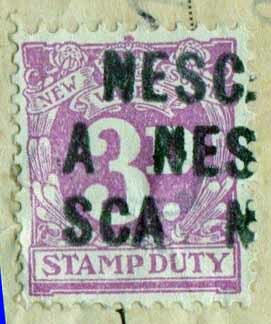 This Department was absorbed by NESCA in 1937. 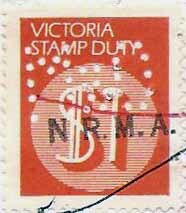 In 1957 NESCA was in turn absorbed by the Shortland County Council and in turn Shortland City Council merged with Upper Hunter and Hunter Valley County Councils on 1 January 1980 to become Shortland Electricity. Later this became Orion Energy and later from March 1996, Energy Australia which operated as a State Owned Statutory Corporation under the Energy Services Corporations Act 1995. The NESCA head office building is built in an Art Deco style and the building was constructed between 1937 and 1939 and it was known as NESCA House. The building was extended as NESCA and its replacement organisations expanded, but it was vacated in 1987 and after a series of tenancies it was acquired by University of Newcastle in 1989. Background: The National Mutual Life Association of Australasia Ltd was founded by John Templeton, an actuary, who was born on 20 May 1840 at Kilmaurs, Ayrshire, Scotland. Templeton had arrived in Melbourne with his parents in December 1852, and in 1857 became a schoolteacher at Fitzroy. Templeton’s interest was in mathematics and in 1868 he became an accountant with the newly formed National Insurance Co. of Australasia. He suggested radical improvements to the existing system of insurance and persuaded his directors to found the National Mutual Life Association of Australasia in 1869. The company was incorporated in Victoria and Templeton became its actuary and in 1872 he became the Company Secretary. Templeton proved to be an able administrator and in addition to his role at National Mutual he undertook Government appointments in the Insurance industry as the Certifier of the insurance tables of Friendly Societies (from 1874) and Chief Actuary under the Friendly Societies Act of 1877 (from 1878). In 1883 Templeton accepted an offer to become the first chairman of the Public Service Board, and in February 1884 he resigned from the National Mutual. 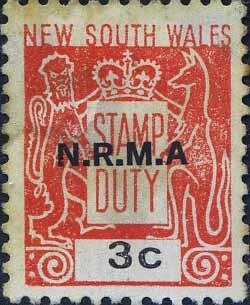 National Mutual expanded rapidly and between 1878 and 1886 they established offices in Adelaide, Sydney, Brisbane, Perth, Hobart and in New Zealand. Over this period the company was involved in a number of mergers and acquisitions but the most important one was the merger with the Mutual Assurance Society of Victoria in 1896 as this company had offices in both South Africa and London. Templeton returned to National Mutual as a Board member in 1888 and resigned from the Public Service Board in February 1889. In 1890 he was appointed to investigate the Premier Permanent Building, Land, and Investment Association, one of the first casualties of the collapse of the land boom. In February 1890 he was made official liquidator for the firm and despite political opposition forced the prosecution of its directors. In 1891 he became official liquidator for the Anglo-Australian Bank and was also chairman of liquidators for the Mercantile Finance, Trustees, and Agency Co. Ltd. Templeton became chairman of the board of the National Mutual in 1895 and its managing director in 1897 until 1908. He was knighted in 1897. During the 20th century the company diversified into fire and casualty insurance but retained a strong focus on its core life assurance Business and was consistently the third major life insurer behind AMP and MLC. In 1983 National Mutual absorbed the T&G Society and this lead to an expansion into the Asia Pacific area. In 1995 the company demutualised and soon after a controlling interest was purchased by the French based insurer AXA. The National Mutual Life Association of Australasia Limited traded as a key part of the AXA Group in Australia, New Zealand and the Asia Pacific. In 2011 AMP acquired these parts of AXA. The $1 value above is purporting to have an N.R.M.A. 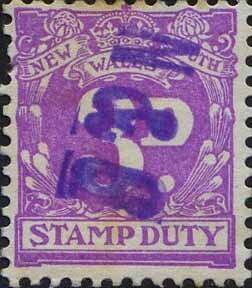 Security Overprint which may confuse collectors as it also has an O&M.a perfin. As you can see below it is just part of a rubber handstamped cancel.